“Many of you know that I went to Colombia last month on a trip with Compassion International. Many of you prayed for me and our team of travelers. I want to thank you all for your prayers! So today, I want to share three things that stood out to me on this trip. 1. The first church we visited in Bogota is a church that has been a Compassion partner church for some time. They are now at a point that they only have sponsored children that are ages 16 to 22. The day that we visited this church though, the church was filled with children of all ages. Because Compassion provided resources and training to the local church, they have become equipped to serve the children and their families in their community on a daily basis. Eventually, there will be no more Compassion sponsored children at this church and that is a good thing! On the day we were there, I loved watching the kids that were taking some music theory classes and learning how to play the drums. This little guy in the video even played the drums during the worship service we attended the next day. 2. On a sponsor trip, we have a day set aside that we spend the day with the child we sponsor. On this trip, we went to a park south of Bogota. This park is nothing like Disneyland, but most of these kids have never been outside their community. Since I met Lina on my last trip to Colombia four years ago, I was really looking forward to seeing her again! We had a really great day together, but at the end of the trip, while we were walking out of the park, she was prompted to talk to me. She told me she wants to study early child development, but her family does not have the money to put her through the schooling. After some time talking with her (through my translator) and encouraging her, I was able to talk with my trip leader and they are going to see if there are any funds available for Lina to be part of the Youth Development Program. This is a program set up to provide additional training and education past secondary school for Compassion sponsored children who qualify. I would love for you all to be praying that Lina is accepted into this program! 3. The conductor of this orchestra is Juan. Juan grew up as a Compassion sponsored child in Colombia. He was able to go to school, he was able to have enough food to eat, he was able to learn about Jesus. Now he is a worship leader at his church, he gives music lessons, he was a translator on our trip, and he has been leading this group of musicians, who at the time of this video, had only been practicing together for a month. He was given hope and an opportunity. These Compassion children all are just looking for one person to give them the hope to escape the poverty they were born into. The opposite of poverty is not wealth. The opposite of poverty is enough. So what does all of this have to do with spreading a little neighborly love? These brothers and sisters in Christ who I met on this trip are being the hands and feet of Jesus and helping more children know about the gospel and God’s love for them. Sponsors around the world are being the hands and feet of Jesus by encouraging and praying for their Compassion sponsored children. Some of you will read this and not be ready to sponsor a Compassion child. Can I ask that you consider doing one thing this month? Do you have $18 that you can donate right now? Make a donation to Compassion’s Malaria Intervention Fund. Over 50 years ago, your neighbor, here in the United States, might have contracted malaria and died. Today, children in many parts of our world die from malaria. A simple insecticide treated net can help provide protection from this deadly disease. Will you spread a little neighborly love and make a donation today? Over the past five years, I have had the opportunity to travel to quite a few locations. Most of my travels have been here in the United States. But I have also traveled internationally, adding Italy, Colombia, and El Salvador to my list of countries I have visited for the first time. I am obviously not an expert on travel, but I thought I would share with you a couple of my favorite travel apps. On my way home from Colombia, I knew I was going to have to go through immigration at the San Francisco Airport. While on the plane, I quickly answered the few questions, scanned my passport, and took a photo. Once our plane landed, I submitted my form and made my way off the plane. After I got off the plane and headed over to immigration, you should have seen the line! There were probably over 200 people waiting to go through immigration. I found the line for the Mobile Passport, stood for a few minutes behind three other people, and was quickly in front of an agent. I almost hesitate to share this with you, because it is a great little secret that I don’t believe most people are taking advantage of! The app is free and is advertised at most of the larger entry points for foreign travel back into the United States. The thing I love about this app is the ability to have a language downloaded and available offline. This is especially helpful if you are not using your data while traveling. The app lets you type in text in English, and then it will translate it into the language of your choice. You can also use your camera to translate typed or handwritten text, and record conversations to translate. I have used this app in Mexico, El Salvador, Italy, and Colombia. Since I am not proficient in Italian or Spanish, this app has helped me to have conversations with people who are not proficient in English. The translation is not always completely accurate, but it sure has come in handy! Can’t figure out how to convert US dollars to Colombian Pesos? Or any other form of currency? This app makes it super simple to figure out how far your US dollars with go while purchasing items in a foreign country. Just type in the price of an item in the foreign currency and the app immediately lets you know what the price is in US dollars. You can also do a reverse of the currency also. What are your favorite travel apps? Who is a part of your family? My family consists of me, my husband, my son, and my daughter. But really, my family consists of my brothers and sisters in Christ all over the world. “14 What good is it, my brothers, if someone says he has faith but does not have works? Can that faith save him? 15 If a brother or sister is poorly clothed and lacking in daily food, 16 and one of you says to them, “Go in peace, be warmed and filled,” without giving them the things needed for the body, what good[a] is that? 17 So also faith by itself, if it does not have works, is dead. Most of my family lives in places I will never visit and I may never meet them here on earth. Our family sponsors Compassion children, and we consider those children and their families to be a part of our family. We write letters to them. We encourage them to read their Bible. We want them to know who Jesus is. These kids who are growing up in areas that most of the world doesn’t even think about, they have an opportunity to be a light in their family and in their community. When we first became Compassion sponsors, we wanted to learn as much as we could about the country where our sponsored child lived. If you have your own young children at home, Compassion has made it really easy for you and your family to learn about the country where your Compassion child lives. In my ABC’s of Compassion series, E is for Explorer! 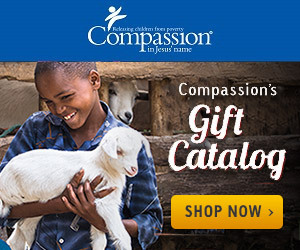 Compassion has an online magazine available for families with children ages 6-10 (there is a print version available for subscription for USA sponsors and donors). The online magazine is divided into quite a few sections: activities, stories, devotions, recipes, explorers, and world map. My favorite part of the web site has to be the world map section! From here you can find a printable about each country where Compassion is partnering with local churches to release children from poverty in Jesus’ name. The printable provides some fun facts and key descriptions about the country where you sponsored child lives. If your family keeps all of your sponsored child’s letter in a binder, this printable would be a great addition to that binder! Make sure you take the time to explore all there is to discover on the Compassion Explorer web site! Things you learn on this web site might encourage some new letter writing topics between you and your sponsored child. Have you and your family explored the Compassion Explorer web site yet? If so, what is your favorite part? Most people who donate money to Compassion do so by sponsoring a child. Sponsoring a Compassion child should be considered a long term commitment since you are investing into the life of a child growing up in extreme poverty. Some people might not be able to make a long term commitment, but they want to make a donation to Compassion because they believe in Compassion’s mission to release children from poverty in Jesus’ name. Compassion continues to primarily be a holistic child development program to help children in areas of spiritual, physical, social and economic development. Donations can be given at any time during the year to help where the need is greatest. I have just touched on a few of the additional ways that you can donate to Compassion. What are some ways that you have made donations to Compassion?